“Charming by Nature” is possibly the most apt tagline for a place, well, this place. 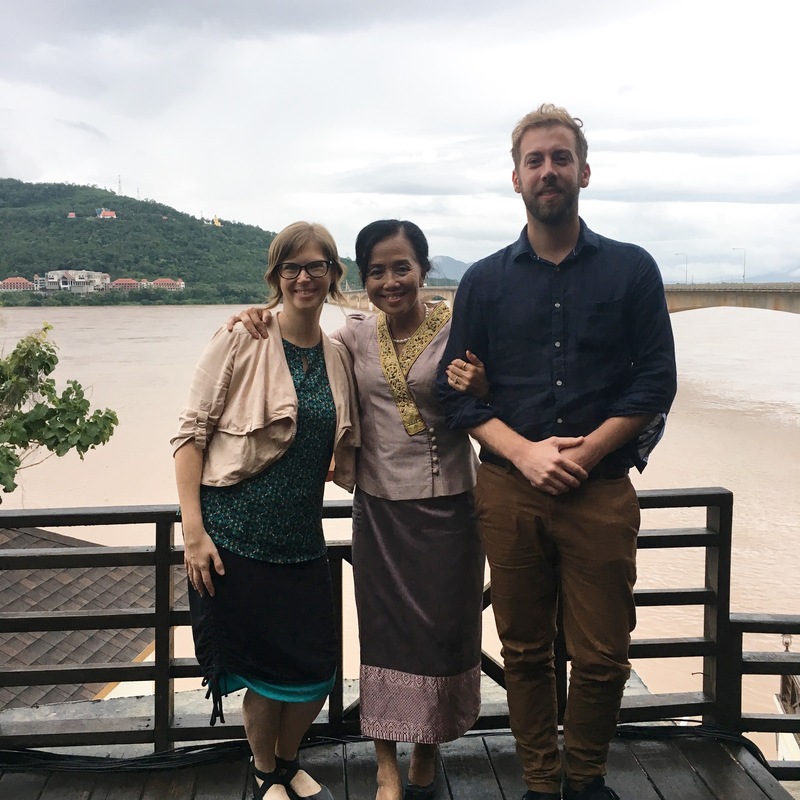 I arrived in Pakse, Southern Laos on the 18th of July to commence a project with the Swisscontact team based in Pakse, to promote refillable water bottles and less plastic pollution for the tourism sector. Utilising the Refill Not Landfill campaign and PFC’s expertise the project is off to a great start with really good reception from the people we’ve met. Walking around Pakse town is a pleasure, the roads are wide and well-paved and the drivers are careful, the buildings are a fascinating mishmash of shop houses/French influenced/art deco and cobbled together creative blends that I’m familiar with from Cambodia. I love old buildings! They’re incredible and I wish I could know their stories. Thursday commenced with coffee with the delightful Madame Mala, local identity and Deputy Director of the Department of Information, Culture and Tourism (DICT), she is jovial and friendly and most of all, a big fan of protecting our environment. After a session in the morning with the Swiss Contact team (Peter, Connor, Alichit, Samit and Bounhome), lunch included additional players from DICT (Outhay) and CHRA (Champasak Hotel and Restaurant Association, Mr Tui), who will be fundamental in this project. 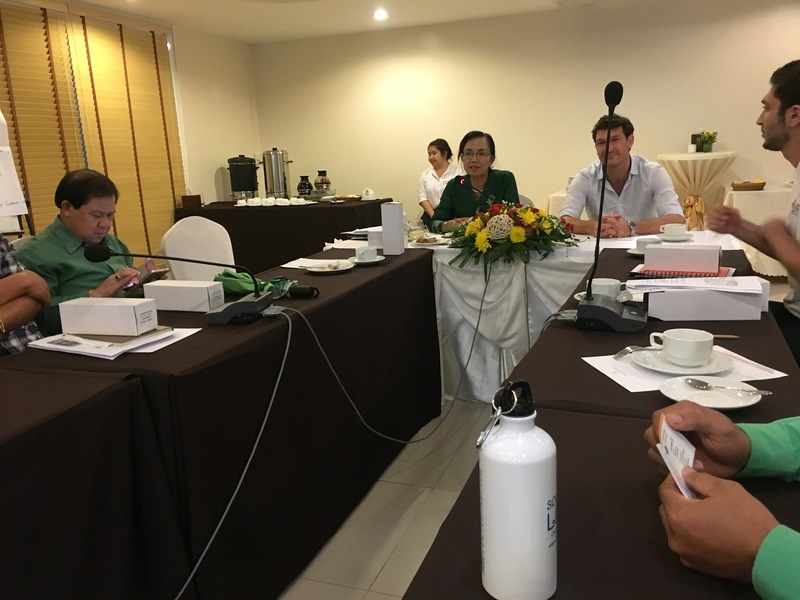 We then moved over to the Champasak Grand Hotel for the afternoon training session and introduction to the campaign to 34 invited industry members and thanks to the Chamber of Commerce, a great number of the local markets! It was a very extensive session with some great stories and questions and ultimately a happy group excited about kicking off the campaign. On the 20th Connor, Peter, Outhay and myself went around the Paksong area to meet with interested parties. The Bolaven Plateau of Paksong is a coffee growing region and a hotspot for travellers. Coffee houses and cafes have a farm door type feel and each place we went to was very inviting… charming even. It was great to get into the mountains, the fresh air and greenery were so refreshing. Natural. Southern Laos has its very own Khmer wat ruin, so it was important to visit Wat Phou, near Champasak Town. The drive out was long and pleasant, with green hills and plains all around and some enchanting mist that hung over the land. The temple site is very humble and is well maintained, there is a shuttle bus or you can walk the 1km each way to the bottom of the temple and then enjoy the slight, then steep incline up to the temple itself up some stone steps, typical of the 11th century wats I am familiar with in Cambodia. There is even the ancient road that leads to Angkor. Whilst pretty clean, there is still visible litter around the place and it got me to thinking… have humans ever really changed? Or is it just the material we use that has changed? I began to think that it is the latter and that the monumental task of influencing people’s attitudes to that is, well… monumental. On the 22nd I spent a lazy day walking from café to restaurant to massage to market, interrupted slightly by rain. It was about then that this town truly captured me, it is simply charming, everything is easy and friendly and quaint and good. 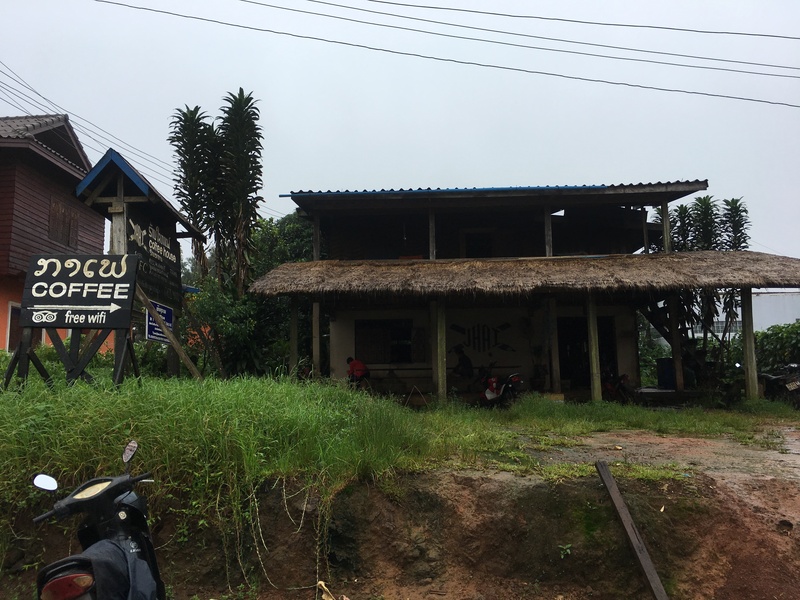 Back to the office on Monday, a more formal visit to Champasak Town, starting at the hotel formerly known as Inthira and soon to be rebranded under La Perle Du Sud for fantastic coffee and meetings with Bobby and Yob from Sai Thong Guesthouse and La Perle Du Sud, respectively. After that to, Chez Maman a beautiful textiles shop that already have a refill location for guests and in the high season, customers who purchase products are invited to join the owner for coffee in the gorgeous and cosy kitchen. Nakorn Café, a little way down the road, we had a very nice conversation with One, whilst looking out at the river and worrying about flooding – it’s okay so far. A quick stop and a chat at The View and then back to La Perle Du Sud for lunch. Post lunch we dropped in at The River and were delighted to hear about the green direction they’re planning to take, we got a tour around the grounds which are beautiful with 22 river view rooms and another 6 overlooking their private rice paddy fields! They also have their own vegetable garden! After The River we stopped in at Wopakok for a very entertaining discussion to end the day. Connor’s ETA: back to office 2pm, reality: 6pm. It was a great day! Tuesday 24 was the final day on this mission and it was jam-packed. Starting early in the morning a run through of the afternoon’s sessions and the beginning discussion of a consumer campaign idea with Peter. Richard, the country director, arrived from Vientiane, so another great session ensued. A quick bite of lunch at a traditional Laos restaurant, we ate naem khoa which was crunchy and delicious rice with crispy coconut and fried rice (deep fried! not pan fried!) and salad with a spicy dipping sauce – though I’m not sure it was very healthy, it was fabulous! Then off to the Champasak Grand Hotel for round two with the stakeholders. This session was wonderful, many of Thursdays participants joined and many new people that we had invited during our sojourns around the region. Everyone got their own Southern Laos Refill Bottle and we had some great brainstorming and feedback rounds. We should be able to give things a bit of a polish, then get the logistics in place and start to prepare the internal campaign to get more businesses to join. It was an exciting day and finished with a surprisingly lavish supper at the Sisouk Hotel courtesy of Nan, she was delightful to chat with and treated us like we were in her home, which I guess we were. Things wrapped up early this morning with a final meeting with Richard over breakfast at Sisouk Hotel. I’m really happy with how everything has gone in this first phase of things and can’t wait to see the kind of excellent results I’m sure will come out of this program!